Kevin was born in Houston, Texas. He attended college in Louisiana. He attended law school in Washington and Louisiana. Kevin and his wife Mandy live in Shreveport with their two children. Prior to starting this firm in 2009, Kevin was a partner in a Shreveport firm where his practice concentrated on oil and gas related matters, construction law, employers’ defense of worker’s compensation cases, and estate planning. 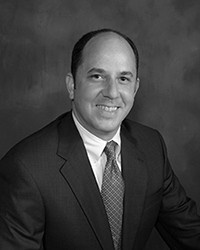 Additionally, Kevin has worked with a New Orleans based casualty defense firm, and as in-house counsel for a domestic insurance company where Kevin advised the officers and board of directors on a variety of corporate, insurance, employment, and litigation related matters. Pursuant to Louisiana Rule of Professional Conduct 7.4, the identification of areas of practice does not state or imply certification, specialization or expertise in any particular areas of law. This web site is designed for general information only. The information presented at this site should not be construed to constitute formal legal advice nor the formation of an attorney/client relationship. For further information please contact my office. Copyright 2010, Kevin W. Hammond, APLC, All Rights Reserved.